Many beauty and skin care experts have lauded the effects of squalane on the skin. This oil, which occurs naturally in the body, is also found in olive oil and in the livers of certain sharks. Squalane is not to be confused with squalene, which is the non-hydrogenated form of shark liver oil and which tends to quickly oxidize when exposed to the air. 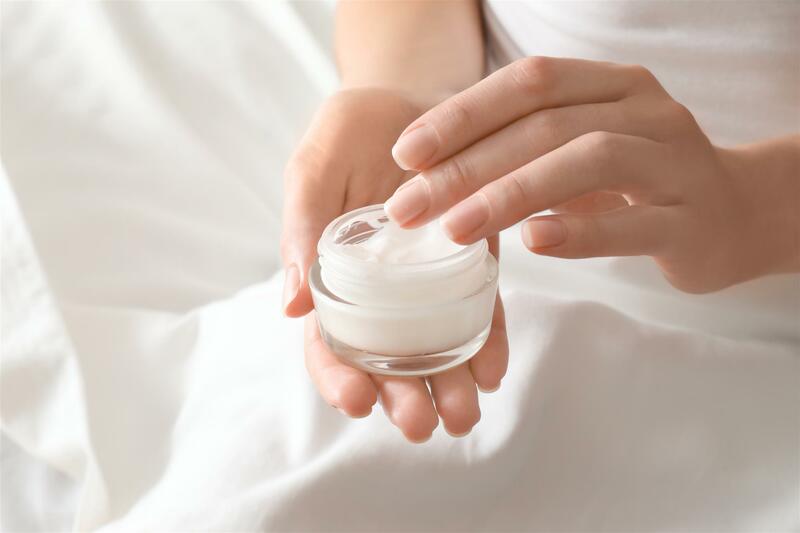 More and more beauty products are adding squalane to their cosmetics, skin creams, and anti aging serum products because experts believe it is a natural moisturizer. If you’re considering creating a skin regimen based on this oil, you should first learn a bit more about why so many skin care experts find it effective and whether or not you risk suffering any side effects from its use. Although squalane is produced naturally by the body, the production of this chemical slows drastically after age thirty, thus contributing to dry skin. Using a moisturizer with squalane may help restore the proper balance of the skin’s oils. One benefit that many people enjoy about squalane is that even though it is technically an oil, it does not have an oily feel. It also has no odor and is non-comedonal, which means that it will not clog pores. This ingredient is also believed to have anti-bacterial properties, which may reduce the symptoms of existing acne without causing redness, stinging, or peeling. Skin care products that contain squalane also tend to absorb slowly into the skin and may be more effective for sensitive skin, as the oil has been clinically proven to be non-irritating. Much like vitamin E, squalane creates a barrier between the skin and the environment so the skin can better retain moisture as it protects the external layer of the epidermis at the same time. Many skin care experts and other medical professionals assert that squalane has a number of positive effects on uneven skin pigmentation, scars, and age spots. Much like retinol, this oil is believed to fight free radicals in the skin that are caused by the sun’s UV rays. This is an important consideration, because dark spots on face and hands are often caused by the skin’s reaction to long-term exposure to the sun, which creates more melanin in those areas to protect it. The use of beauty products that contain squalane may fade these marks over time because of the oil’s ability to sink deep into the skin and repair it. Keep in mind, however, that the effectiveness of squalane on UV-damaged skin is still being studied, so it’s important that you remain realistic about the results you expect to achieve. Several studies conducted in recent years show that squalane not only hydrates and softens the skin, but may also be an effective anti-aging ingredient. Because squalane spreads easily over the skin and penetrates so deeply, it may help to lessen the appearance of fine lines and wrinkles. It may also fight aging by protecting the skin from UV rays and free radicals, which destroy skin cells and damage the skin’s natural collagen. While there are little to no known side effects that come from using squalane, there is the environmental concern that the squalane that is being harvested from sharks is threatening their population. If you want to take advantage of the purported benefits of this ingredient but object to these animals being killed to collect the oil, you do have a choice when making a purchasing decision. Read product labels to see if the squalane was derived from plants, such as olives, or if it was harvested from captured sharks.